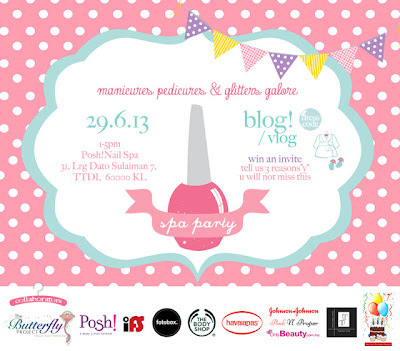 The Butterfly Project, an online social community for beauty bloggers on Facebook, is holding its first spa party! Helmed by Tammy Lim, she is he owner of the website, Plus Size Kitten, and the founder of Butterfly Project. Tammy Lim has worked tiredlessly (I believe her dark circles are growing bigger....!) in helping other beauty bloggers find an avenue where they can share their reviews, find out more about beauty brands, and understand more about the beauty brands they all so love. It basically is opening a market for all kinds of beauty related opportunities. So girls (sorry... only for females only!!) to win an invite, all you need to do is go this link and submit your entry via the Rafflecopter. · Remember to include links to all the 10 collaborating partners! I am participating in the Standard Chartered 10km race on the 30th June. It is a good excuse for me to de-stress and relax the day before the race. Following sports training protocol, athletes are not encouraged to do any more further training 3 days prior to your real race. So I have something superlicious relaxing to do on this day. Good excuse to meet all the bloggers, and all the partners that this spa will bring. Actually its a good way to know more about the brands we all love who are getting involved, as I will need to use their services one day. I love spas. I love parties. I love manicures. I love pedicures. I love massages... Enough said. 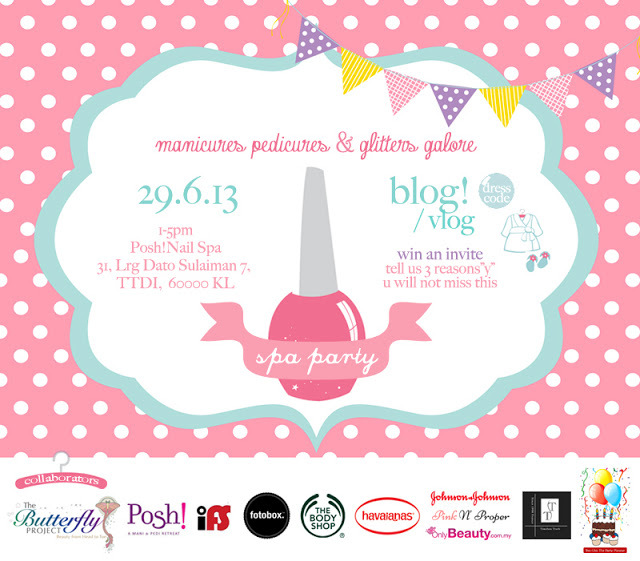 Thank you to all the partners involved in this Spa Party.